This month features two of Jamaica’s best – a shell and an athlete, both genuine rarities. The shell is Chicoreus cosmani Abbott & Finlay, 1979. This beautiful mollusc is a member of the large family of marine snails known as the Muricidae, for my money the most exquisite group of all seashells. They are favorites of collectors with rare species selling for thousands of dollars. Most are carnivores on other molluscs and barnacles and can become serious pests of commercial oyster, mussel, and clam beds. But they can be utilitarian as well. From certain species is extracted the Royal Tyrian Purple dye, so costly to make that it became the hallmark of only the very rich and powerful – Caesars and Popes – and is still today the “official” color of the Catholic Church. The dye has been in production since at least 1750 BC. But it is unlikely Chicoreus cosmani will ever become a pest or be found in sufficient numbers to be used for dyes. Only a handful of specimens are known, all from moderately deep water, and most from a single stretch of coastline on northern Jamaica. Jamaica has another rarity, in human form – Usain Bolt, who has the true distinction of being the fastest human alive, running at roughly Warp Factor 8 (“The legs canna take it, Captain!”). 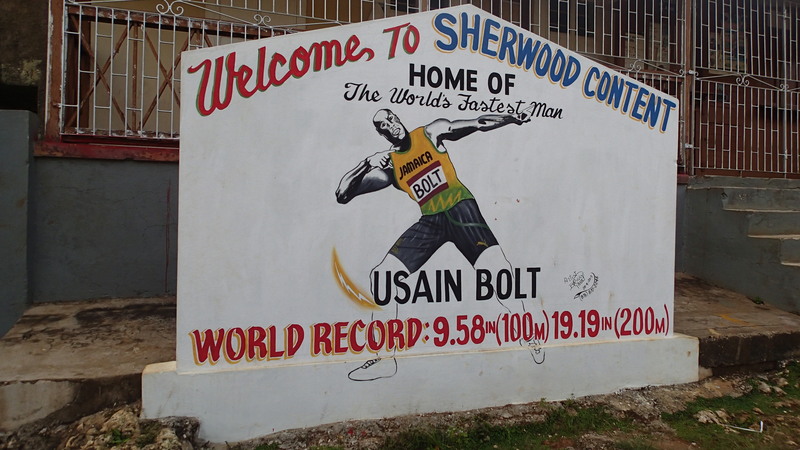 I visited his hometown of Sherwood Content in the hinterlands of Jamaica in 2013. Here is the sign his townspeople erected to him. In 1923 W.L. 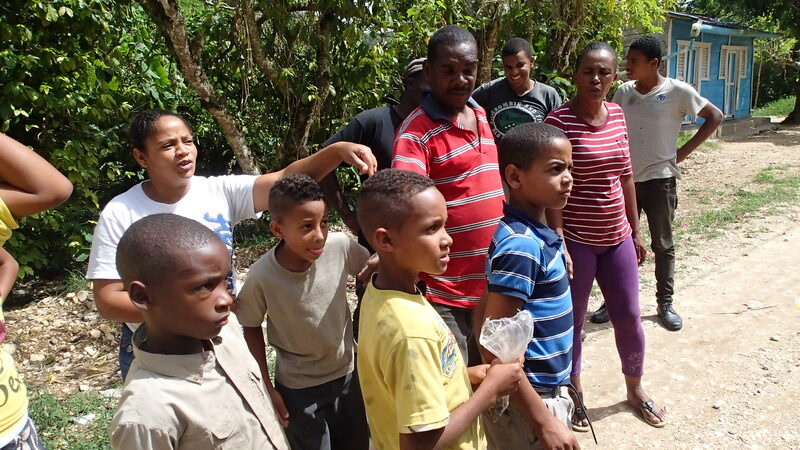 Abbott collected a fragment of a land snail shell in the far-flung mountains of the Dominican Republic (DR) at a remote place called Polo*. 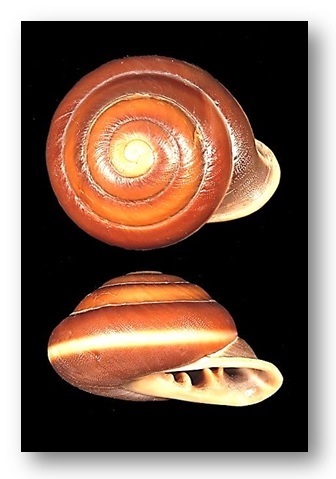 The snail was named in 1946 Kisslingia poloensis by Paul Bartsch, the expert on the group at the time. It was not seen again for 91 years, when a collector found two specimens, after hours of looking, near the namesake village. This group of land snails, the Annulariidae, is of great interest to me, and as luck would have it, I was going to the DR in June. With my trusty colleagues we made a detour to downtown Polo. Polo can only be reached by a dirt road that winds up the mountain and then dead-ends at the village. We began looking in a roadside cut and after a long, hot, scorpion-filled, goat-laden, cacti-infested, steamy length of time we had found exactly – none. Two young gentlemen happened by and we “hired” them to help look. Rather embarrassingly, within minutes they had found two. We decided to head uphill for metropolitan Polo and promised to recompense them on the way back down. Less than a half-hour later we returned to find that an entire village had been enlisted and the kids had, probably without breaking a sweat, found 50. 50! Pesos and snails changed hands. Everyone was happy. I now have potential DNA from this obviously seldom seen snail for comparative work on the family. Seldom seen by malacologists anyway. The kids knew exactly where to find them, probably seeing them on a daily basis. All our fancy “book lernin” was no match for the real experts, the young naturalists of Polo. Our crew of expert collectors. Note the bag of snails. A free-range, ultra-rare Kisslingia poloensis Bartsch, 1946. * Somewhat confusingly there is a village called Polo Magnetico in the same area. It is renowned as one of those physics-defying places where balls apparently roll uphill. Alas, this phenomenon did not affect our van, which we almost had to push to the top. This is a goodly-sized species (to ca. 30 mm) in a family full of goodly-sized and above species. Originally included in the far flung family Camaenidae, it is now in the New World family Pleurodontidae. It is a land and occasionally a tree snail hailing from Jamaica. 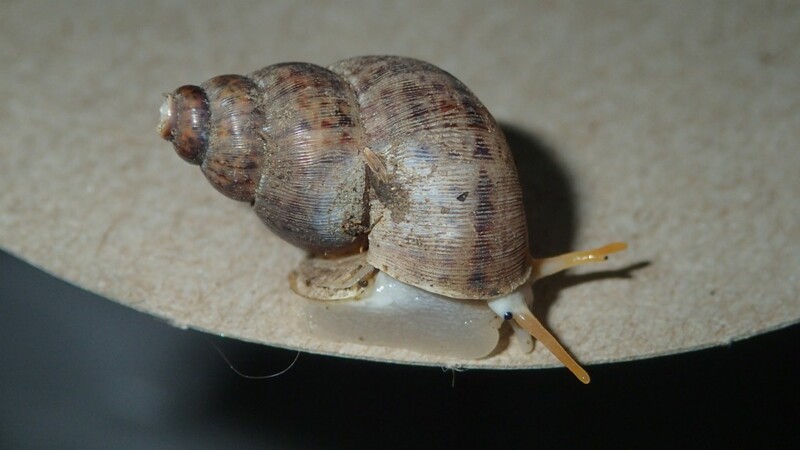 Unlike many Jamaican snails, this species is quite common and widespread on much of the island. The aperture (the opening to the shell) is armed with “teeth” – shelly constructions that presumably defend the snail from some predators. The species was named in 1861 by Robert James Shuttleworth (1810-1874), an English physician, botanist, and shell enthusiast. He named the shell after his Irish fellow physician Sir Hans Sloane, 1st Baronette (1660-1753) (left). 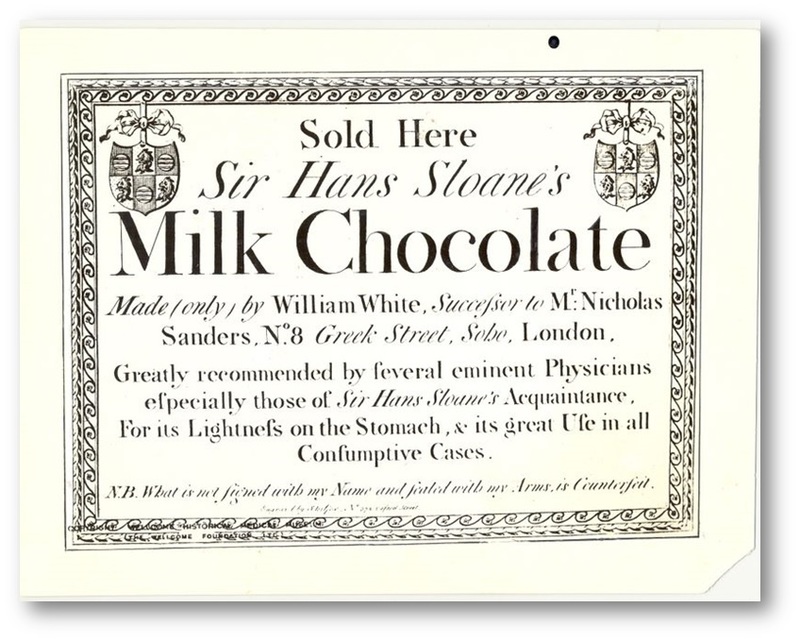 Sloane was the first physician in English history to be awarded a hereditary title. 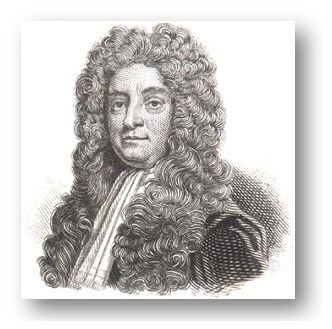 He was Royal Physician to King George II, President of the Royal Society (succeeding that slacker Sir Isaac Newton), and President of the Royal Society of Physicians. In 1687 he sailed to Jamaica on board the HMS Assistance as physician to Christopher Monck, the 2nd Duke of Albemarle, Lieutenant Governor of Jamaica. 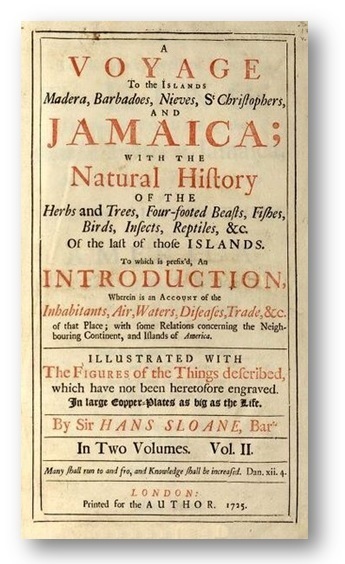 Sloane began an intense study of Jamaican plants and other biota. Perhaps he should have paid more attention to his day job – Albemarle died the next year at age 35 and Sloane returned to England. But he brought back an enormous amount of material that became part of the core collection of the British Museum (along with William Bligh, but that’s another story). 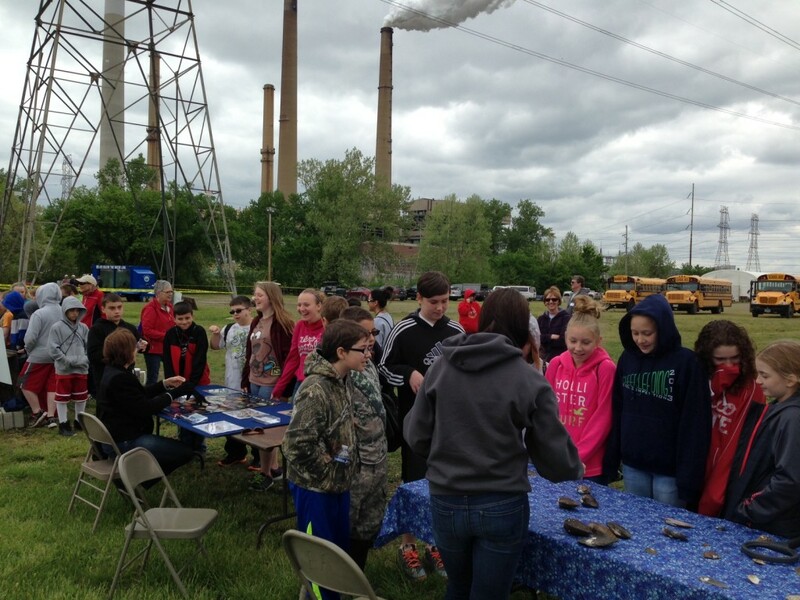 Every year American Electric Power hosts Earth Day at their Conesville power plant near Coshocton, Ohio. Every year the Division of Molluscs shows up to spread the Good Word about imperiled freshwater mussels – this year was an unusually cold and overcast May 13. It was a unique opportunity to engage 400-500 middle school children with hands-on activities such as Match the Shell with the Stupid Common Name, Match the Mussel with its Host, and Find the PIT-Tagged Shell with the Expensive PIT Tag Reader. A good time was had by all. And free hotdogs! Kudos to AEP for the outreach. 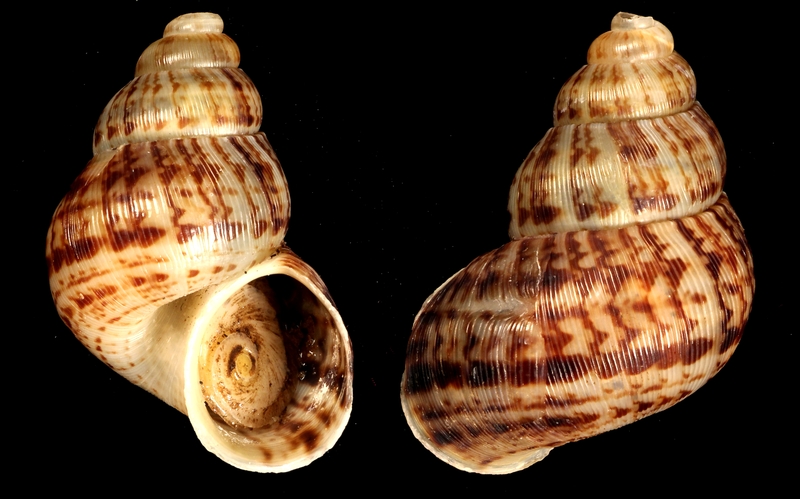 Rocinella signata. From Brusca, R. C., V. Coelho and S. Taiti. 2001. 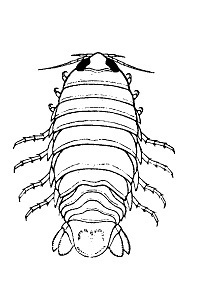 A Guide to the Coastal Isopods of California. A scene of carnage. 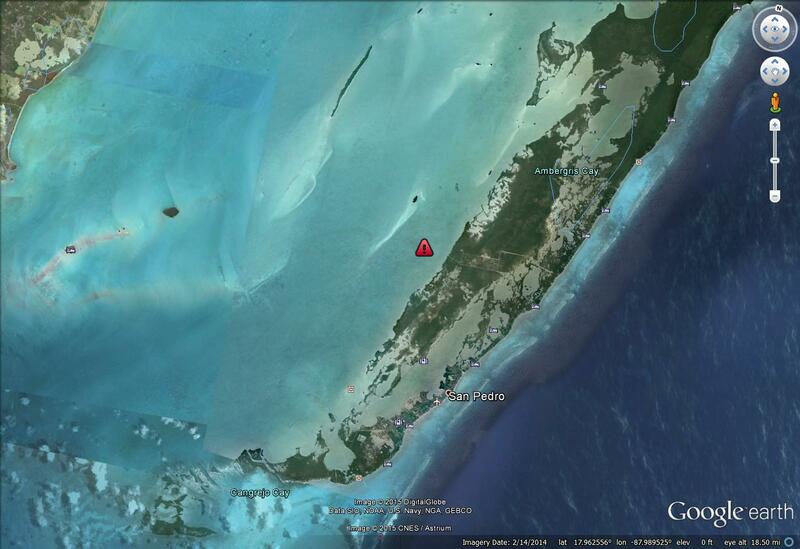 Bay side of Ambergris Cay, Belize. The good news was that the area yielded a new species of Laevicardium, now being described. But I won’t be going back for more. *Actually, there are several published reports of their taste for human blood. 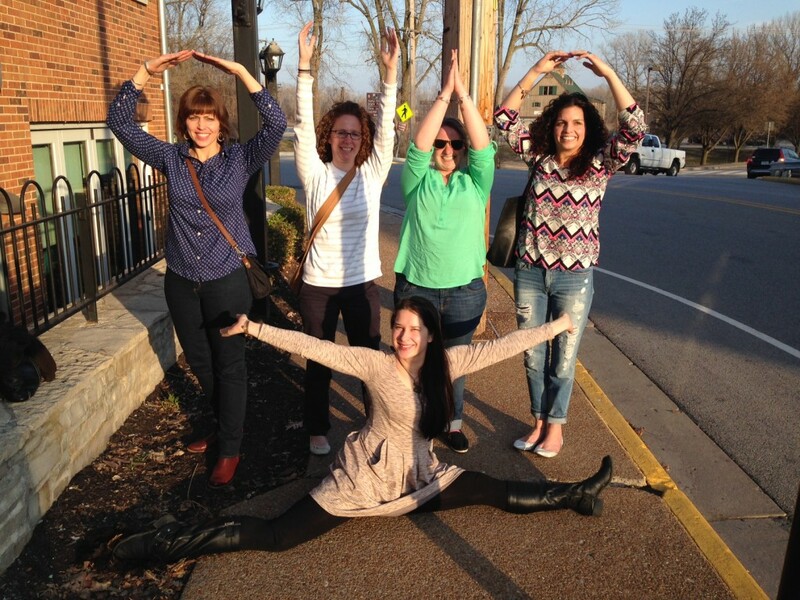 Shown are (L to R): Trisha Gibson, Amy Weber, Caitlin Byrne, Jackie Halmbacher. Well-grounded in front: Ieva Roznere. The Department of Evolution, Ecology & Organismal Biology had a strong showing at the 2015 Freshwater Mollusk Conservation Society Symposium held 22-27 March 2015 in St. Charles, Missouri, USA. Ieva Roznere won the Best Student Presentation at the meeting. Anderson, R., Welte, N., Allison, J., Clayton, J., Douglas, B., Morrison, P., Watters, G., Boyer, A., Koch, L., McGregor, M., Fisher, B., Tiemann, J. 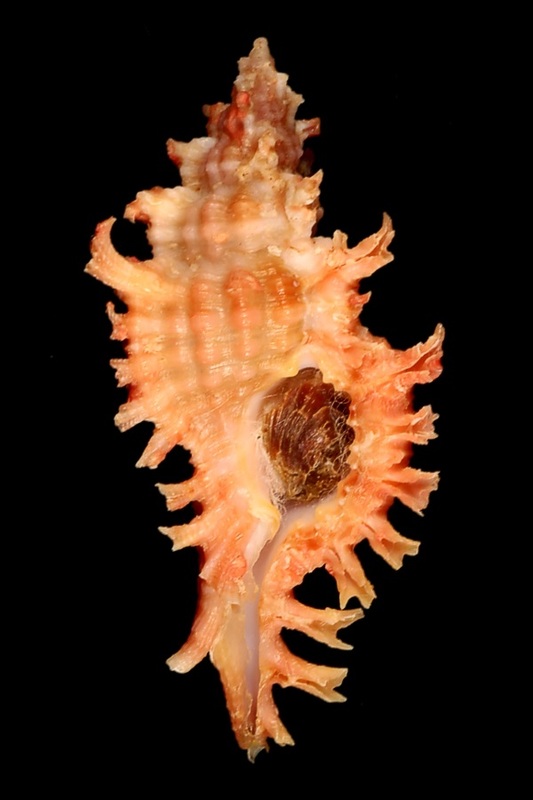 “Cooperative recovery on a landscape scale: the reintroduction of Northern Riffleshell (Epioblasma torulosa rangiana) and clubshell (Pleurobema clava) to sites in six states within their historic range.